(L-R) Katherine Radoslovich, James Oswald, Lisa Campbell, Caryn Rogers. Not pictured, Aaron Humphrey. Support our finalists in the 3-Minute-Thesis Faculty finals! 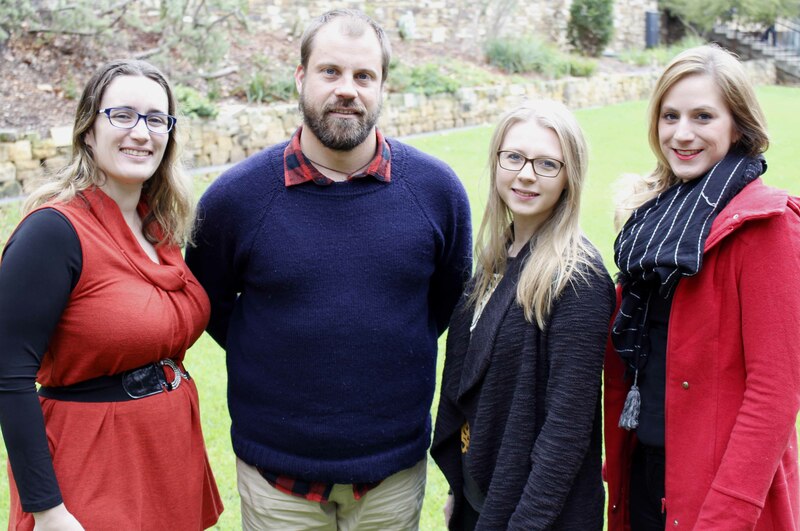 The winners of this competition will represent the Faculty of Arts in the University of Adelaide 3-Minute-Thesis finals on Tuesday 13 September. Katherine Radoslovich, Love and Intimacy in Later Life: The experience of couples in residential aged care.